Jennifer Sherwood is an Anthropology student enrolled in Rollins College and interning this spring for the Cambrian Foundation. She is originally from Boulder Colorado where she works with the educational outreach programs for the Denver Zoo, Science Discovery, and local elementary schools. Jennifer developed afterschool enrichment programs for schools by running volleyball, art and academic classes for the students. She is currently playing varsity volleyball at Rollins as well as working with organizations such as the Cambrian Foundation, the Farmworkers Association, and the Global Justice Center. 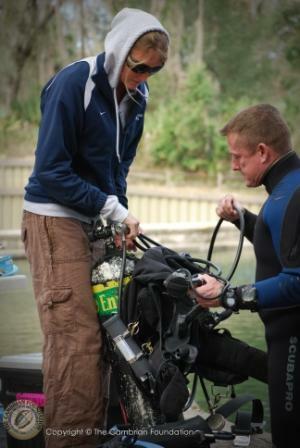 Jennifer has her open water certification and hopes to further pursue her level of diving certification and experience. Although only starting to work with the Cambrian Foundation, she is enthusiastic about joining the team and eager to continue to learn.